Violent attacks on homeland security professionals (police, prison, border control, immigration and customs) and private security professionals are on the rise. The news is full of reports highlighting assaults on those men and women protecting us, and too many times knives are being used. Slash Proof Clothing makes real operational sense! We receive emails and telephone calls from professionals speaking openly about their concerns, fears and recent incidents within their work environment. Please contact us to find out how we have helped your well respected colleagues around the world. All garments are produced in the European Union and are made from our very own ultra-high cut resistant fabric Cut-Tex® PRO. All garments are offering certified levels of cut, abrasion, tear and puncture resistance. They are extremely comfortable to be worn against your skin. SlashPRO® Slash Proof Clothing is being successfully worn by homeland security professionals (police, prison, border control, immigration, and customs) and private security professionals in countries around the world. Professionals really trust the quality of our garments and they respect the durable and reliable level of protection hey provide. The fabric our garments are made of, Cut-Tex® PRO is an ultra-high performance cut resistant fabric, produced in the United Kingdom. It offers EN 388:2016 Level 5 | ANSI/ISEA Level 5 cut resistance, as well as outstanding levels of abrasion, tear and puncture resistance. 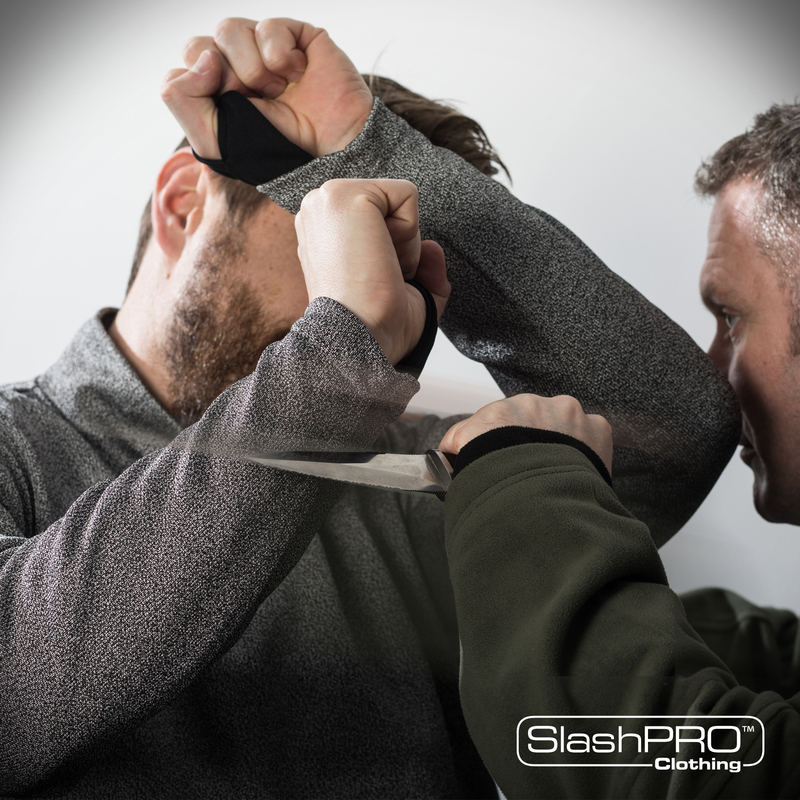 SlashPRO® Slash Proof Clothing is now available from our very own online shop, however, if you are representing an organisation, agency or company, please feel free to email us info@slash-pro.com. Please also visit our website’s stab resistant vests section.